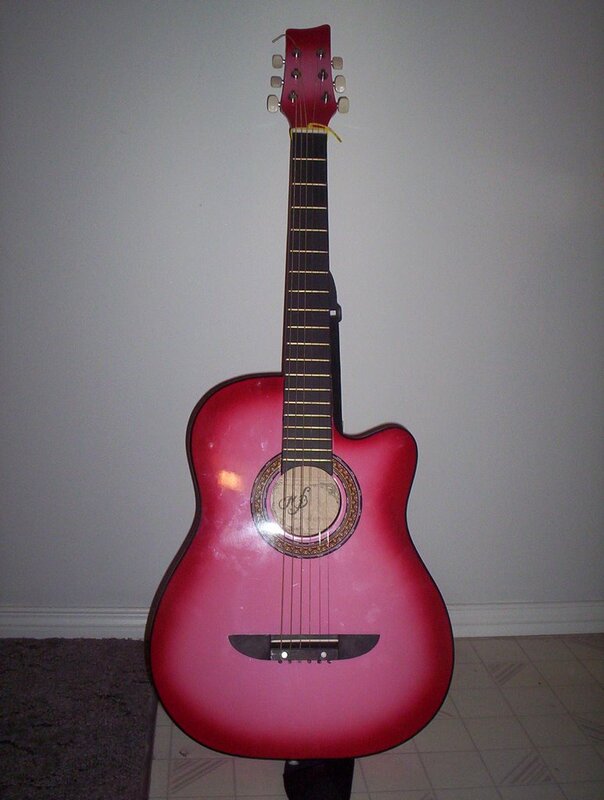 Well the pinklady and I had our first guitar lesson on Tuesday, and we seemed to do quite well together. My instructor...Sheeeeeena, (I like to say it with all those eeee's), was quite impressed with my ability to learn and dance my quick fingers over Pinklady's neck. Apparently, she thought we would start off slow, but when I told her that I already knew music theory, and she just kept pointing to lines, and I kept playing them....things were in our favor. I think I will work ahead in my book, and surprise my Sheeeena with a "Rockin Robin-For He's a Jolly good Fellow" medley.